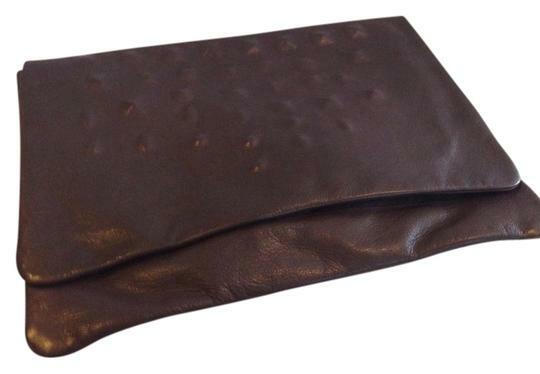 Supple leather oversized clutch with covered pyramid studs at flap front. 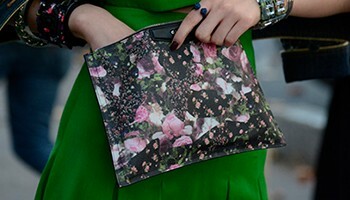 Hidden dual magnetic closure. Looped leather wristlet strap. Fabric lined interior with zippered leather pouch pocket.